I found the Me-Made-May challenge (more see this blog) and thought why not. I have a lot of lace shawls and socks, many cardigens and sweaters, some sewn dresses and skirts and my Watson jacket. I’ll try to repeat as little as possible for this challenge, obviously the jacket will be repeated a lot as it will not always be warm enough to go out without a jacket in may, and not always wear my tangled yoke cardigen. Daily updates will be on Instagram and/or Twitter and I’ll likely post a weekly roundup with links and little descriptions here. Posted in me made may 15 and tagged me made may 15. Bookmark the permalink. 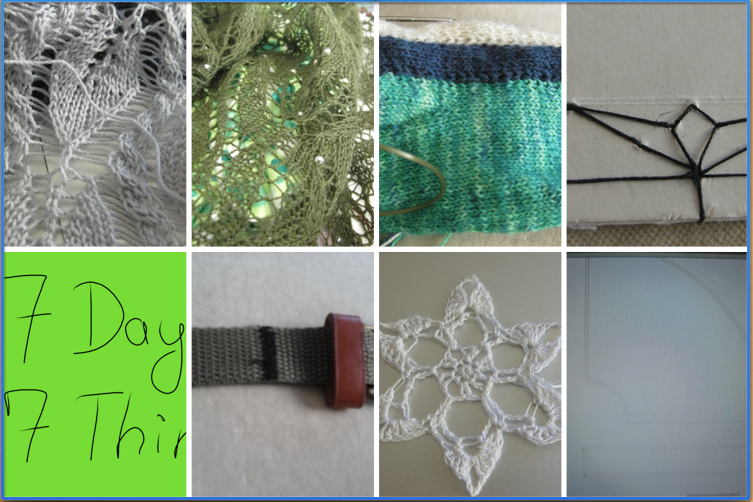 Posted in 7 days - 7 things and tagged 7 things, design, green, knitting, lace. Bookmark the permalink. Yes way to late, but I just didn’t have the time or motivation to take pictures in the alst three days, but here they are. Posted in 7 days - 7 things and tagged 7 things, books, design, green. Bookmark the permalink. The quote in the header is a quote from the sixth Doctor from Doctor Who. One of my favourite Doctors. Posted in 7 days - 7 things, Design in Progress. Bookmark the permalink. I love to swatch. 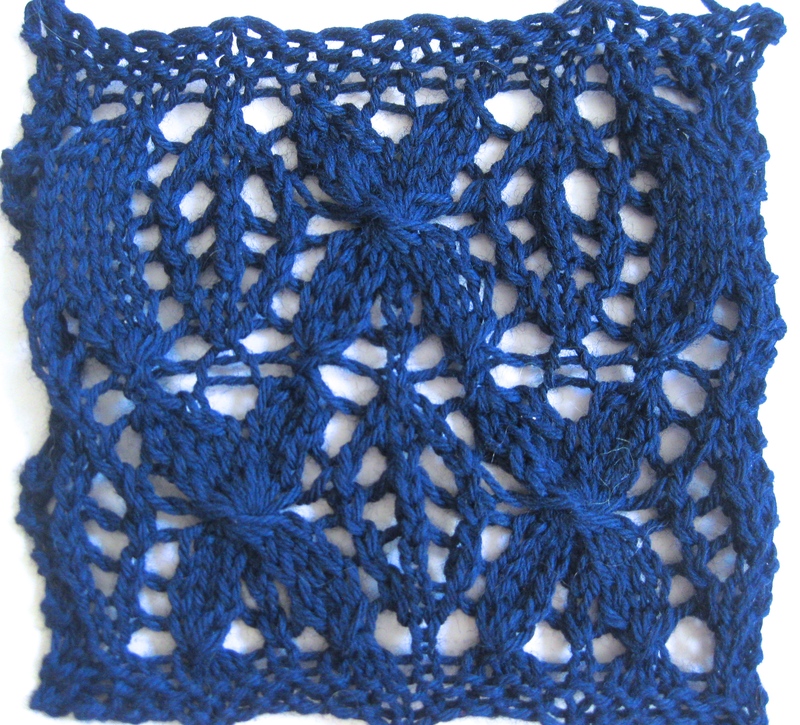 Not so much the classic 10x10cm squares (or 4″x4″ if you’re not using ISO), but different pattern stitches. Sometimes you find a really great one on the internet, or in a stichonary and just have to knit it. I really like the look, the texture and the proportions. But hell, I don’t want to work a whole piece with it. You see the lovely twisted stitches that build up the cluster in the middle of the flowers? That is a work 7(!) stitchs together through back loop and make 7 new ones from that. Not something I want to work on a larger scale. 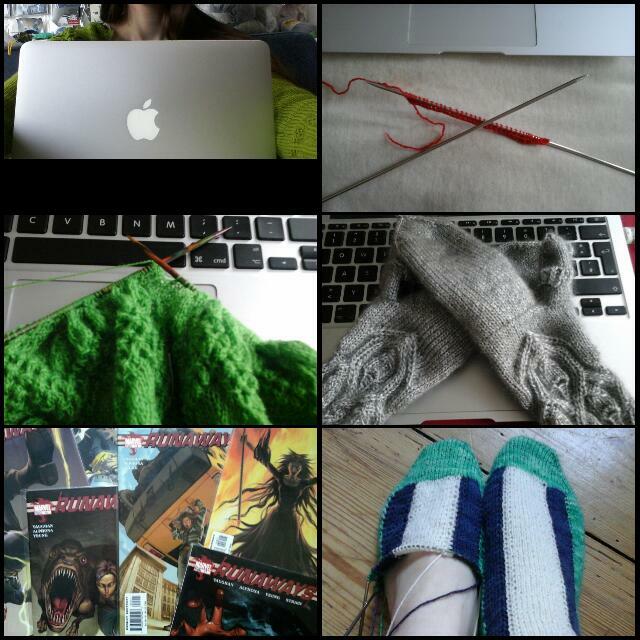 But as I love the look, I’ll probably play around with it to get a more managable stitch instead of the 7-into-7. 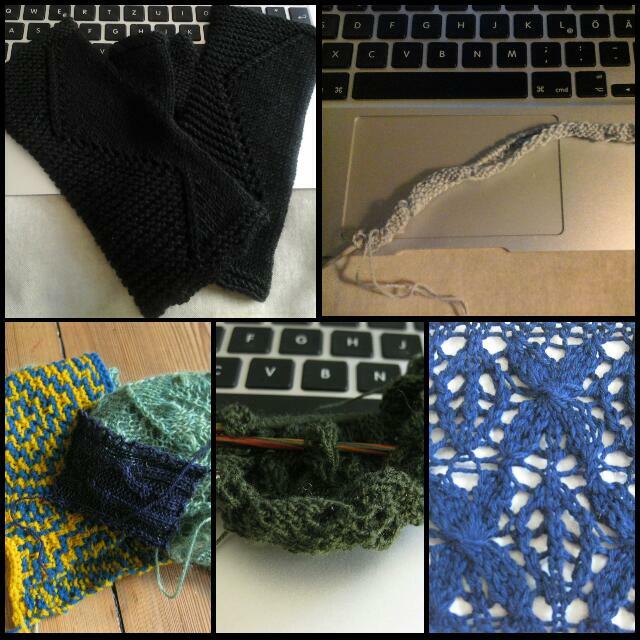 Posted in Design in Progress, Designs and tagged swatching. Bookmark the permalink. Best thing about a long weekend is curling up on the sofa, knitting, choclate (well it’s the holiday of choclate, right?) and maybe watching your favourite TV shows. So if you’re in need of a new pattern for this time, I have a little promotion until midnight on monday (Berlin). With the code “ostern” you get 15% off these patterns. And for those who have regaular weekend, or even have to work, I hope the discount makes the weekend sweeter. 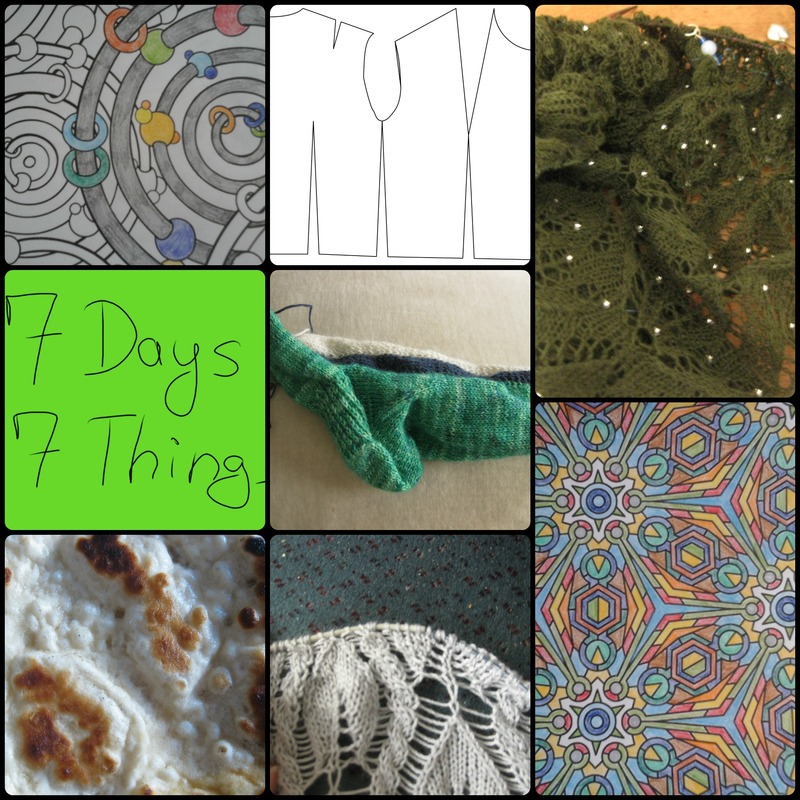 Posted in 7 days - 7 things. Bookmark the permalink.